Namaste. Welcome to Thoughts Along the Path by Psychic Joy Star. Have an Amazing Day! 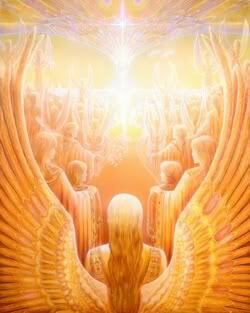 When you meditate do psychic readings, do you ever call upon a specific Angel to help you? 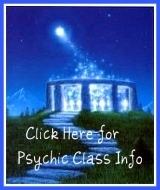 This week I'd like to share some information about how to know what Angel works with you. In addition, no matter what date of the year, you can look up (on the chart below) which Angel is most in alignment with Earth energy at any given time. Do you know what planet rules your Sun sign? And did you know that there are particular angels associated with the various planets, the Sun and Moon? We can use all the help we can get here upon the Earth whether we’re a professional psychic or not; therefore, what harm can it do to know the particular angel that your purpose or essence (Sun) relates to? after than you can see what Angel resonates with your essence. If you don’t know this, here’s a list of dates, related sun signs, ruling planet and the Angel association. We can call on our birth Angel using the chart above and also for time in motion. For example, as each month passes, a different Archangel‘s energy influences the energy and we can be more easily attuned to the Angel of that time of year. For example, since this is November 7th, looking at the chart above we see that Archangel Azrael, associated with Pluto/Scorpio, is working in harmony with the energy of the Earth and her various kingdoms—in our case, the human kingdom. Azrael also reigns over the day of the week Tuesday and Pluto/Scorpio and assists with transitions of all type of endings. He is responsible for prediction and second sight and is known for helping people cross over to the other side. He is called upon to comfort those who grieve the loss of the death of a loved one. Azrael's aura is beautiful shade of vanilla cream: a very pale yellow tone. He surrounds grieving persons with this loving light to bring them comfort. When Azrael is around, you may see eggshell-colored twinkling lights in the room. The crystal, creamy yellow calcite is calibrated to Azrael' energy, so holding or wearing this crystal may lend additional comfort. Azrael' name means "Whom God Helps", and he helps those who are helpers. He's particularly interested in helping counselors who work with grieving or dying. Ask Azrael to guide your words and actions during counseling sessions, and he'll help you remain patient and compassionate. He can also help you enter the counseling profession and guide you toward schooling, internships, and a wonderful counseling practice. Azrael is known as "The Angel of Death", since his primary role is to help people cross over to Heaven at the time of their physical death. Far from being a morbid role, Azrael surrounds the newly crossed-over soul with loving light to make the experience uplifting and comforting. Azrael helps deceased loved ones make contact with their living family members and friends. You can ask Azrael to bring you a message or dream visitation from your loved ones in Heaven. Archangel Azrael would be one to call upon for assistance when doing a mediumship session with a client or for anyone who wishes to receive communion with loved ones on the other side. Copyright © 2013 Psychic Joy Star, All rights reserved.